The Lagos area boasts some of the most extensive and panoramic Blue Flagged beaches of the region. 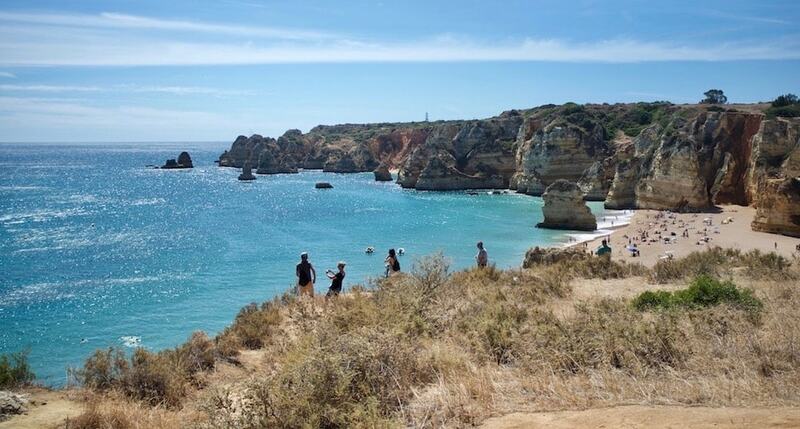 It is set between metropolitan Portimão to the east and the natural parks of Sagres and Aljezur to the west. To the north Lagos borders Portugal’s southernmost mountain range of Monchique. 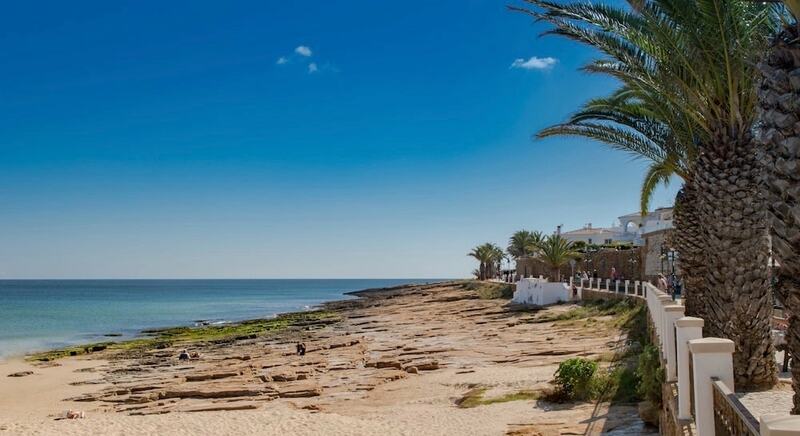 Your ideal Lagos property could be in the historic city centre, overlooking the sand dunes, or tucked away in the countryside amidst olive and cork oak trees. For those looking for a more quiet life with easy access to all the amenities, the Lagos property market is the right place to look. 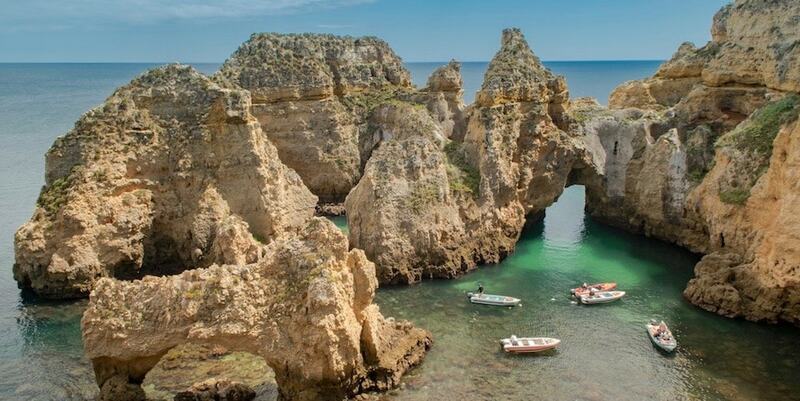 Lagos has a rich seafaring history, as the world-famous Henry the Navigator directed the Portuguese Discoveries from this part of the Algarve. Lagos played also an important role in the progress made in nautical science, cartography and astronomy during this age. Today you can find museums celebrating the science and culture of the sea throughout the area. The average price for a Lagos apartment hovers around Average price per sqm. in Lagos region €2,734 -1% properties#: 823 last change on: 19 Apr 2019 €2,734 per sq. meter, while prices for houses in Lagos are around Average price per sqm. in Lagos region €3,638 0% properties#: 797 last change on: 19 Apr 2019 €3,638 per sq. meter. Various investment opportunities are to be found here for Average price per sqm. in Lagos region €2,276 -1% properties#: 443 last change on: 19 Apr 2019 €2,276 per sq. meter in average. In addition, coastal properties in the district that provide Lagos property owners with beautiful views over the Atlantic have a higher range of prices. The most renowned real estate agencies in Lagos are B&P Real Estate, with over 160 properties listed. Algarve Web, Marcela Propriedades, and Era have over 100 each. Property for sale in Lagos includes townhouses lining the cobbled roads within the ancient city walls, topped with a roof terrace. Or perhaps you might like a luxury modern apartment up on the hill, overlooking the bustling marina by the town center. Estates in Lagos have everything nearby, including a hospital, and the area is about an hour’s drive from Faro International Airport; the regional motorway delivers you straight there and is never over-congested. Well connected to Lisbon, you can drive there via the motorway in under 3 hours, take the express coach or hop on the train. The area boasts two local international schools: the Escola Internacional Vale Verde and the Nobel International primary school. The main Nobel campus, catering for all ages up to 18, is just half an hour’s drive away. Also nearby are the well regarded Colégio da Penina (Portuguese-speaking but with a lot of foreign students) and the Aljezur International School. Bensafrim/Barão de São João is the largest area of Lagos, lying between the cliffs and beaches of Luz and the west coast and the Monchique mountains to the north. It has a population density of just 19 people per km2, so if it’s privacy you’re after, this is the place to be. It’s the perfect retreat from the hustle and bustle of daily life. For those who love the outdoor life, this area is a haven for hikers and bikers. The stunning ‘Via Algarviana’ winds from Sagres at the very tip of Western Europe, to Alcoutim on the Eastern border with Spain. There are plenty of off roading routes and clubs. Within easy reach are the beaches of the West Coast, famous for their surf. Off the coast of Alvor are four deliberately-sunk warships that together form the largest artificial reef structure in the world. It’s a haven for wildlife and a veritable adventure park for scuba divers. If you are a social butterfly then Praia da Luz, one of the iconic beach towns in Portugal, is the place for you. Lagos villas for sale in this area are popular with expats from Western Europe. Whether you choose a modern apartment overlooking the village or a luxury villa nestled in the cliffs, you’ll feel right at home. Luz is a typical Algarvian village and seafood is highly popular in this area. You can eat very well for affordable prices. The restaurant Aquário is featured in the Michelin Guide 2018. Odiaxère is situated ten minutes from Lagos town and borders the rural hills of Bensafrim and Barão de São João. To the south it incorporates the Palameres golf course and the sand dunes of Praia Grande, overlooking the Alvor river beaches to the east. For the motorsports enthusiast, the Portimão Autodrome is just ten minutes away. A Lagos property owner can enjoy all sorts of racing events, including the Superbikes and the LeMans series. It also has a karting track and various driving experiences on offer. The area’s ‘barragem’, or reservoir, is in the north of Odiaxère, a haven for wildlife and great fishing. For owners of Lagos homes, Odiaxère town is a small gem. It hosts various iconic structures, most notable the beautifully restored windmill in the town centre. Odiaxère is a bustling town with all amenities masquerading as a sleepy village. The city of Lagos is a wonderful juxtaposition of the historic and modern. The medieval fort overlooks the entrance to the river marina. On the other side you will find Meia Praia, which is a five kilometre stretch of golden sand, backed by dunes. A beach house in Lagos has easy access to a boardwalk stretching along the length of the beach, dotted with restaurants. Every August 29, Meia Praia hosts the annual mini-festival ‘Banho 29’. After dark the beach fills with people, fires are lit, music is played and at midnight everyone goes swimming. It is a heady end to a long hot summer. There are a few restaurants in Lagos that are mentioned in the Michelin Guide such as Don Sebastião, Dos Artistas and Cantinho Algarvio who are all nestled in the pedestrian old town. There is something for everyone in Lagos; whether you’re looking for good weather, gorgeous beaches, accessibility to nature or want a more private place to spend your days, Lagos is the right choice for you.